I never would have thought Fashion and Mission would come together. Although there have been several Fashion Companies having their own Foundations but there’s one company that I would like to commend, and that is Jolica. 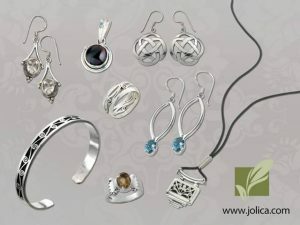 Jolica practices social entrepreneurship by offering handcrafted jewelries and fashion accessories made by Artisans from around the world and also giving out to those people in need. This does not only help these Artisans financially but also creatively. Having these wonderful creations seen and enjoyed by other nations is truly an opportunity for these so-called Jolica Ambassadors. And since these creations are made by different Artisans from around the globe, their products are truly world-class and original. From jewelries to handbags and even scarves, Jolica continues to inspire more Artisans to create and share these wonderful products. Aren’t these items beautiful? Wouldn’t you love to wear them, knowing this are not just beautiful pieces but it comes with a mission to support. And as a result of continuous productivity, Jolica created their own foundation helping a lot of people who have health and education issues. Do you have a Jolica piece? Or want to help in sharing Jolica’s Fashion and Mission? Be one of their Direct Seller and share your story with us.